In my last post, I briefly mentioned that the ADF group I founded a few years ago grew into an official Grove. I’m so proud of my grovies. We have all worked so hard to get to this point. I definitely could not have done this by myself. Whenever I lead rituals, I make a point to have multiple people in major speaking parts so it’s not just me. I love when grove members step up to lead rituals or workshops. I love how we have taken turns coming up with activities, sharing supplies, making favors, leading magical workings, hosting private gatherings, offering extra eyes to keep track of kids, donating art and time… Despite some occasional bumps and growing pains (which are inevitable), we’ve continued to grow intellectually, spiritually, and we grow closer as a Druid family who truly love and support each other. I look forward to many years with my beautiful grovies. Hail to Northern Rivers Grove! Our info table at the 2016 FAE Fest. 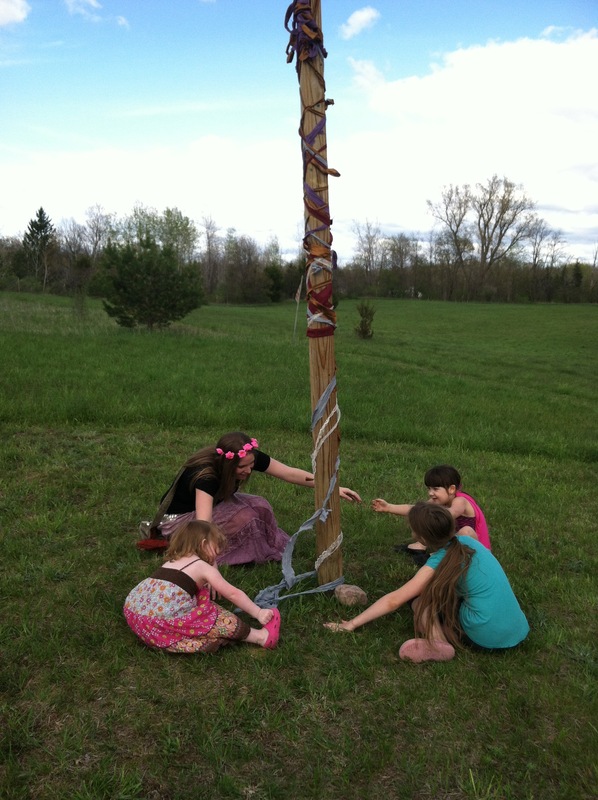 Last weekend, my Grove participated in the 3rd annual Faery and Earth Festival in Watertown, NY. Originally scheduled in August, organizers moved the date to October 1st due to stormy weather. This “sun date” was a great success! It was a perfect early autumn day. Northern Rivers Grove, ADF, had an info table, offered hospitality to workshop presenters, built our ever-evolving Earth Mother shrine, and lead the closing ritual for the second year in a row. It’s a lot of work, but very rewarding to take part in. The closing ritual, in particular, is a great way to showcase the ADF tradition, our own ritual skills, and our grove character. Just as last year, we received a lot of positive feedback. A view of our Earth Mother Shrine. Many of our artisans have contributed pieces over the last three years. It continues to evolve into a beautiful devotional space. Photo by Grey Catsidhe, 2016. Personally, this was an opportunity for me to grow closer to the local Pagan community outside of my grove. I’ve become one of the FAE Fest organizers after volunteering to coordinate workshops. One of my favorite parts of the CNY PPD are the many educational opportunities, and I felt that the FAE Fest needed that extra bit of magic. However, I knew that the founders were spread thin (reserving space, organizing art and food vendors, and paying entertainers…) so I stepped up to help make it happen. I’m a big believer in volunteering when I see a need! It was a challenge, for sure, and I learned a lot on the way, but it was worth it. We had workshops on a variety of topics – British fairy lore, herbal tea, tarot, deepening your Pagan faith, hoop dancing, belly dance, and the Native American medicine wheel. Education is important to me as a Druid, so it fits into my spiritual calling. I was so happy to help, and I look forward to doing it again for 2017. 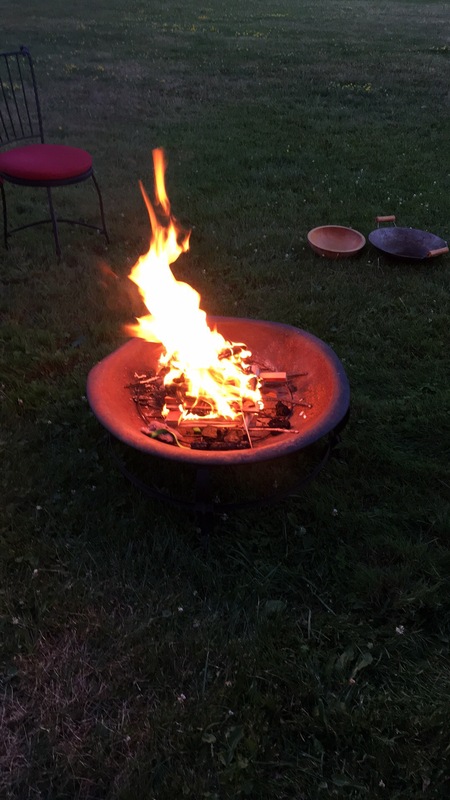 Reaching out to local Pagans to offer workshops gave me an opportunity to reconnect with dear friends and teachers, get to know acquaintances, and meet other Pagans with different backgrounds, traditions, and skills. It’s funny. I founded Northern Rivers years ago because other local groups weren’t meeting my needs. I wanted something specifically focused on Druidism – the ADF tradition in particular. I was younger then, and perhaps I said or did things that created distance between myself and the other groups in the area. I reflected on this after I was invited to take part in CUUPs’ main ritual and help call the quarters – something I hadn’t done in 7 or so years! Through my involvement with the FAE Fest, I’m finding that I’m working with other groups, other Pagans, who come from different traditions and experiences. Sometimes very different. I’m building bridges, focusing on our commonalities, and that’s the way it should be. PPD and the FAE Fest is about coming together and celebrating our diverse community. It’s interesting to me that Northern Rivers, a group that is more polytheistic and recon-oriented, matured and became an official Grove as I have also matured as an individual with regards to working with other, often very eclectic, NeoPagans. Groups won’t always appeal to everyone. We all have different needs. The local Pagan community is like a forest – it is dynamic, with many different species. Each is linked in some way, but all are required for the health and vibrancy of the forest. When we come together, we celebrate each other – our beautiful similarities and differences. We will support each other, our right to exists in an environment that is at times hostile to alternative religions. We are stronger together, and I’m so proud to be a part of that community building. Hail to the local Pagan community! I was very touched by this post from the blog “A Forest Door.” There has been a lot of drama in the “Pagan” online community lately. Paganism vs. Polytheism. Secular Humanists Pagans/Atheist Pagans vs. theists. Vegetarian Pagans vs. Omnivorous Pagans. Pop culture icons as deities vs traditional Gods. The list goes on and on, and, honestly, the topics aren’t new. They come up every once and awhile. It’s no surprise – they’re actually quite interesting! Yet the drama and mental masturbation that result can be completely exhausting. I’ve largely avoided these topics because I just don’t have the mental energy to deal with them right now. So why did the aforementioned blog post make an impression on me? The author is showing self-integrity. There are plenty of people writing things that impact, or could impact, everyone in the Pagan community. Or rather, there are a lot of people trying to do that (it’s very hard to please everyone)! And that’s all well and good, but there are still plenty of us who want to focus on our own thing. We’re not blogging to argue or persuade necessarily – we just want to share our thoughts. The internet is a wonderful tool in that I’ve been able to connect with a variety of Pagan/Polytheistic folk with a wide array of perspectives of deity, magic, liturgy, cultural influence, etc. A great many are fellow ADFers or people influenced by some degree of reconstructionism. Many others are very “eclectic” for lack of a better word. I get that and I respect it. It’s not for me, though. I always feel a bit awkward when getting to know a new eclectic Pagan (online or off). Some are new to the scene and don’t realize there’s more out there than what is essentially Wicca. Others have been eclectic for years and, in trying to be helpful, provide suggestions or interpretations to my experiences that are not of my own religious practice. I appreciate that and find it interesting, but it’s always really awkward explaining how some things just don’t mesh with what I’m experiencing or my hearth culture. And then there are folks who view deity differently and try to get into intense philosophical debates with me. I’ve never been really interested in that… I enjoy learning about different perspectives, but people who try to tell me how and what to believe are not individuals I enjoy spending time with. And trust me – I have a great many friends who view deity differently and we get along fine because we are accepting of one another.